We are an independent Baptist church that focuses our attention on the salvation of souls and the discipleship of believers. We strive to bring families closer to God and closer together. We are located just a couple minutes from the by-pass on old Highway 45 North and we are dedicated to loving and helping others. We sing the old hymns and preach the truths of the King James Bible. This church had it's start in July of 1975 and it still continues to preach and teach the same sound doctrine it did years ago. When you come here, you will hear God-honoring music that will stir your heart and scriptural doctrines that are sure to establish your marriages and children in the faith. We believe God's Word and that He is faithful to do all He has promised. If you are looking for a church to attend or join, we believe you will find a good home here. So come and be a part of a church you can be proud of. 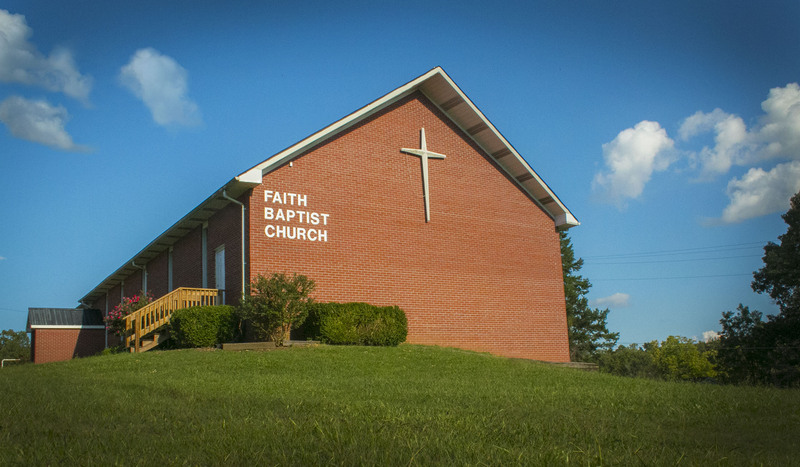 A church continuing on by FAITH.